Submaracers is a 2D Side-Scrolling Local-Multiplayer Racing Game. Traverse through underwater levels as mechanical submarine fish, avoiding obstacles and shooting down your opponents to propel yourself across the finish line first! Highly recommended to be played by 2-4 Players. IMPORTANT: Xbox Controllers Required to Play. Single Player NOT recommended. - Up to 4 Player Xbox Controller Support. - 4 Colourful Levels and 6 Different Courses. - Easy to 'Pick-Up and Play' Controls. 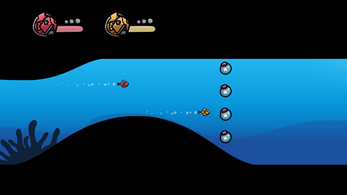 - An Underwater Theme with Fishies, Bubbles and Explosions! - Quite Competitive. There will be many rematches. Y Button - Loop-de-Loop Attack. 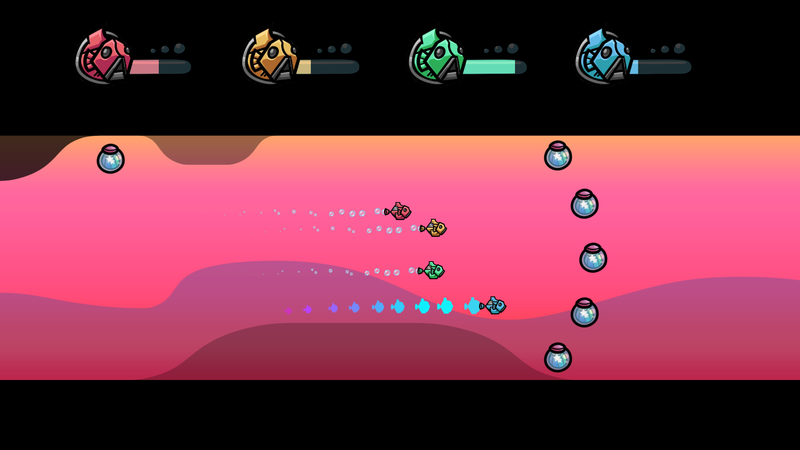 I made this game by myself over a semester for my final year in a Bachelor of Games Design course at RMIT University. I created all the art assets myself and coded most of it as a beginner programmer. 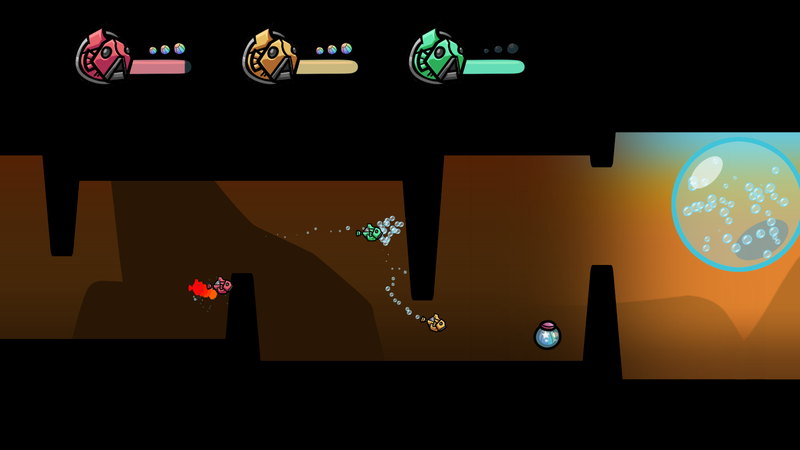 It is inspired by other Indie Games including SpeedRunners and Runbow. Obviously there will be some little flaws here and there due to my inexperience. Please let me know if you find any that really should be fixed. 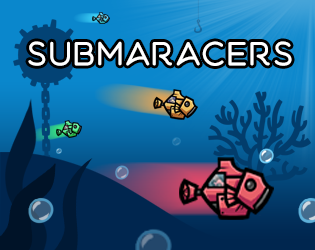 Enjoy playing Submaracers with friends! Comments and feedback is highly appreciated. Thanks!